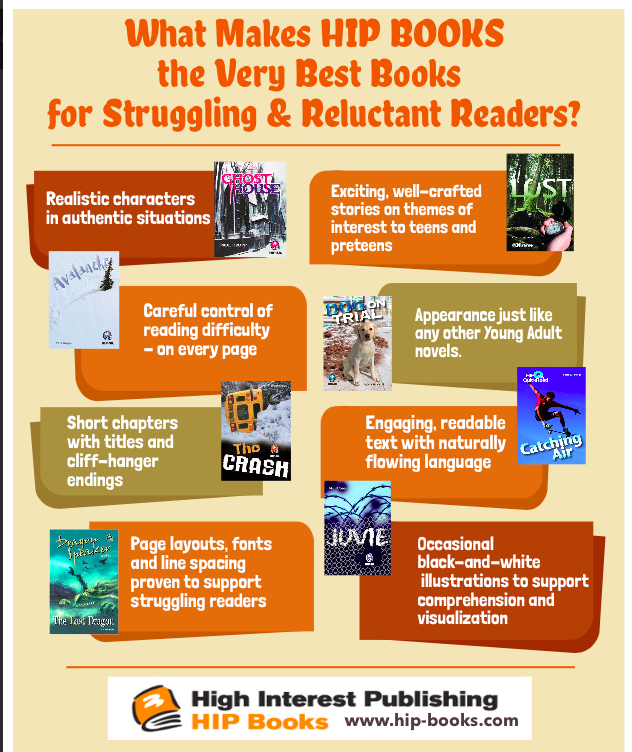 What Makes HIP BOOKS the VERY BEST BOOKS for Struggling and Reluctant Readers? It’s been said that if there’s a child who won’t read, it only means that he or she hasn’t found the right book yet. That might be oversimplifying things a bit, but there is something magical about putting the right book in a reader’s hands at the right time. At High Interest Publishing, our mission is to provide the “right books” for struggling readers in hopes of making them competent and confident readers. 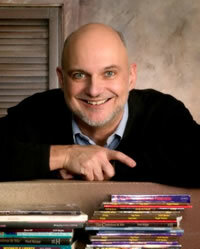 High Interest Publishing was founded by Paul Kropp, a well-known author of Young-Adult Fiction and a foremost expert in the field of high interest-low vocabulary reading materials. Teacher support materials are created by Education Director Lori Jamison (Rog), who has served on the Board of Directors of the International Reading (Literacy) Association and has written a number of professional resources, including Struggling Readers: Why Band-aids Don’t Stick and Worksheets Don’t Work. Everyone at HIP, from our sales and office staff to our authors, editors and graphic artists, share a passion for making these the very best books for struggling readers. HIP Books are first and foremost about exciting and engaging stories, written by accomplished authors of Young Adult fiction. The characters are interesting and realistic; the plot lines are action-oriented and the vocabulary is carefully chosen. Then the books undergo a rigorous editorial process to ensure a consistent level of difficulty from the beginning to the end of the book. Word choice is scrutinized (but not controlled or repeated) and sentence length is monitored to prevent struggles for dysfluent readers. Several different readability formulas are applied to every page of every book – a rare degree of precision in the publishing industry. Click here for more information about readability and reading levels. Before the books are printed, they are student-tested for authenticity, accuracy and general appeal. The students’ recommendations are taken very seriously in the editorial process. A collection of black-and-white sketch graphic novel-style illustrations are commissioned to add interest and support for visualizing the story. Finally, the books are typeset with careful attention to page layout, font style and white space, ensuring that the books are thick enough to look just like any other novel, but not so long as to intimidate struggling readers. 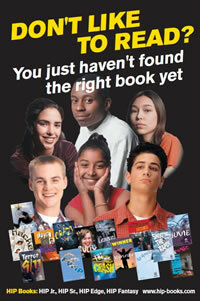 Read a checklist of Ten Things to Look for in Books for Struggling Readers.